You are the product of your parents. On a biological level, you are a combination of their two selves, all the way down to a shared, albeit blended, genetic makeup. And it is this pairing that will have a huge impact on what makes you, you. Your hair color, your eye color, how tall you are, whether you have dimples, whether your hair is curly or straight, and so much more are determined on a genetic level. However, those aren’t the only things that influence you and the person you’ve become, rather, much like the saying goes, “we are products of our environments,” and it is here that we find one of the oldest philosophical debates within psychology – nature versus nurture. At its core, the debate is as follows: Nature refers to all of the genes and inherent factors that influence the person we are; from our physical appearance to our personalities. Nurture refers to all of the environmental influences in our lives, including childhood experiences, parental relationships, social standing, surrounding culture and more. And while both undeniably play a part in the person we are to eventually become, the debate lies in what specific outcomes are determined by genetics and what are the result of our environment? While some are a lot more obvious than others, such as hair color and height, there are much more long-held notions about what were once thought to be environmental traits, may, in fact, be genetic. So before you start to yell at your kids, get mad at your friends, or look down on your coworkers, read this first, because it may just turn out that they are genetically destined to be the way they are. Are you scared of spiders? Well there is a good chance that you had some traumatic experience with one at some point in your life. Scared of swimming? Perhaps you had a bad encounter with water once that you have never fully gotten over. 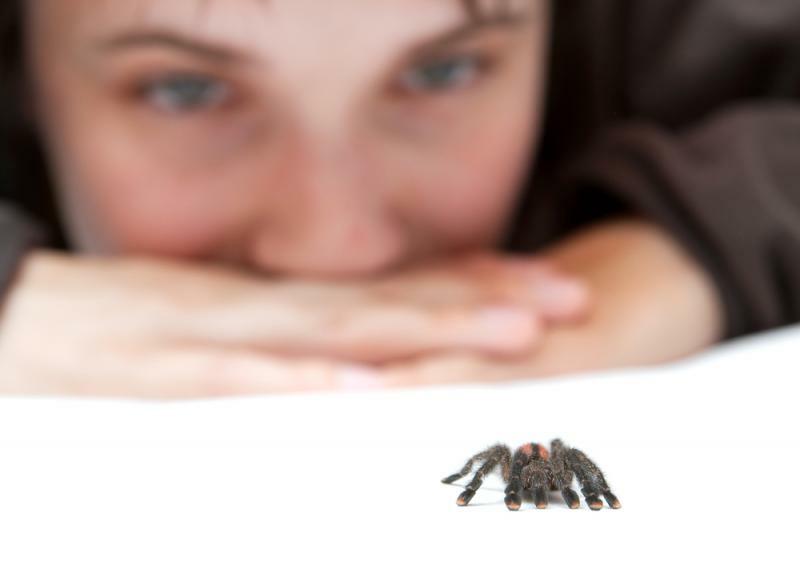 While these seem like rather reasonable cause and effect scenarios for people's phobias, research coming out of Emory University School of Medicine in Atlanta is suggesting phobias, may in fact, be passed down through the generations. It has long been theorized although not completely proven that experiences are inherited from our ancestors. And if so, then it would also explain why we also share many of the same phobias as our ancestors. The experiment was performed on mice who were taught to fear cherry blossoms through the use of electric shocks (no we don’t condone these experiments). Eventually, the mere smell of cherry blossoms would cause them stress. What’s interesting is that their offspring also seemed to share that fear of cherry blossoms, although none of them had been exposed to the same experiment before. Sort of makes you wonder what your great, great, great, great grandparents were up to, doesn’t it?